Introducing the new T-Swizzle! Taylor Swift debuted the satirical music video for her new single, “Look What You Made Me Do,” at the 2017 MTV Video Music Awards on Sunday, August 27. Taylor Swift in "Look What You Made Me Do"
The video begins with the singer, 27, crawling out of a grave, covered in dirt. It then cuts to a variety of scenes that show her sitting in a bathtub filled with diamonds and dancing with a group of men wearing “I Love T.S.” crop tops, possibly a nod to the T-shirt that her ex-boyfriend Tom Hiddleston famously wore at a July 4 party in 2016. 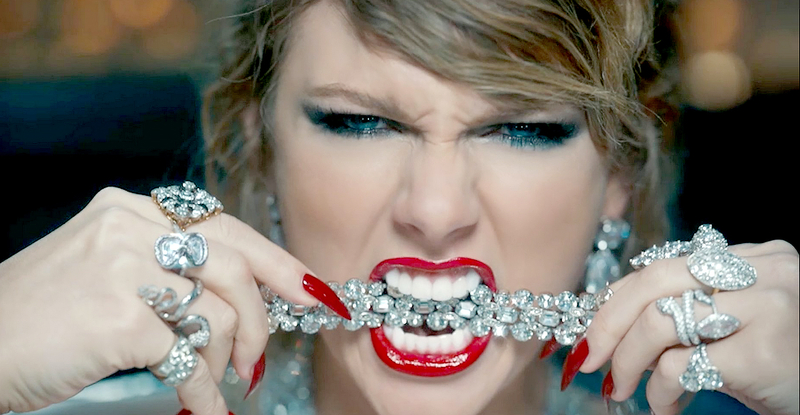 At the end of the video, Swift pokes fun at her previous music videos and headline-making moments, including her feud with Kanye West. “I would like to be excluded from this narrative,” she says to a bunch of clones dressed in her most iconic outfits.